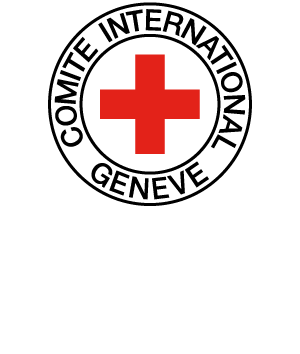 International humanitarian law of non-international armed conflicts contains no reference to combatants or prisoners of war. Rather, the term “fighters” is used by scholars and practitioners to refer to members of armed groups, often only if they perform a continuous fighting function. For the purpose of conduct of hostilities, the term reflects a status-based equivalent of the notion of combatants in international armed conflicts. “Fighters” may thus be targeted at all times, subject, according to some, to the principle of military necessity. However, fighters do not have combatant immunity, and therefore, can be prosecuted for directly participating in hostilities. Fighters who have fallen into the hands of the adversary are entitled to the same protection as civilians (GC I-IV, Art. 3; P II, Art. 4). KLEFFNER Jann K., “From “Belligerents” to “Fighters” and Civilians Directly Participating in Hostilities: on the Principle of Distinction in Non-International Armed Conflicts One Hundred Years After the Second Hague Peace Conference”, in NetherlandsInternational Law Review, Vol. 54, No. 2, 2007, pp. 315-336. KLEFFNER Jann K., “The Notions of Civilians and Fighters in Non-International Armed Conflicts”, in BERUTO Gian Luca (ed. ), The Conduct of Hostilities: Revisiting the Law of Armed Conflict: 100 Years After the 1907 Hague Conventions and 30 Years After the 1977 Additional Protocols: Current Problems of International Humanitarian Law, Sanremo, 6-8 September 2007: Proceedings, Milano, Nagard, 2008, pp. 69-78. SOLF Waldemar A., “The Status of Combatants in Non international Armed Conflicts Under Domestic Law and Transnational Practice”, in American University Law Review, Vol. 33/1, 1983, pp. 53-65.